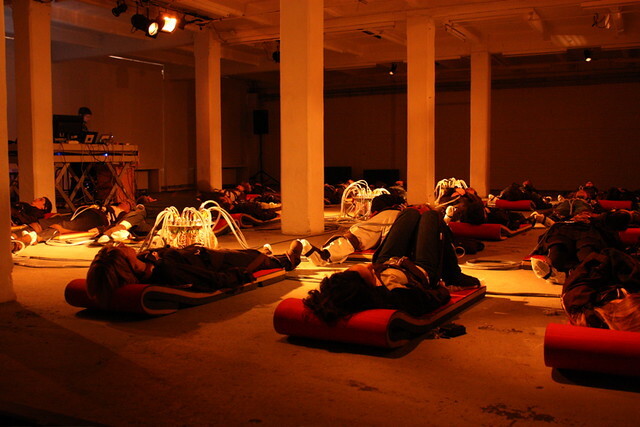 STIMULINE is an exceptional audio tactile concert. 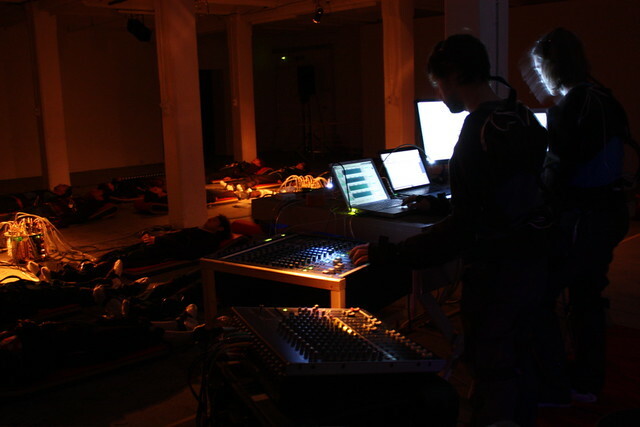 Part of an artistic, sound and technological research, it puts into question the sense of touch in arts by using participant’s body as sound interface. 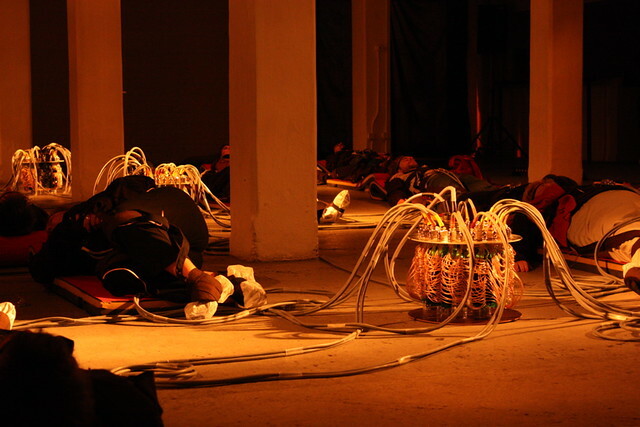 Audio tactile proposes "another way of listening” where the spectator is fit out with a special suit equipped with loud speakers, allowing the circulation of tactile and sound stimulations on his body’s surface, conducted through bones conduction. 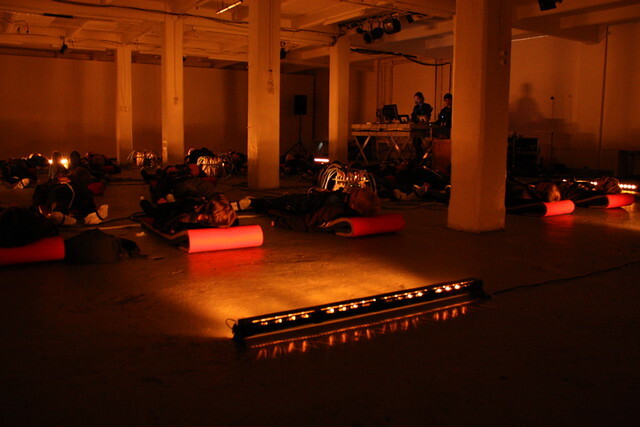 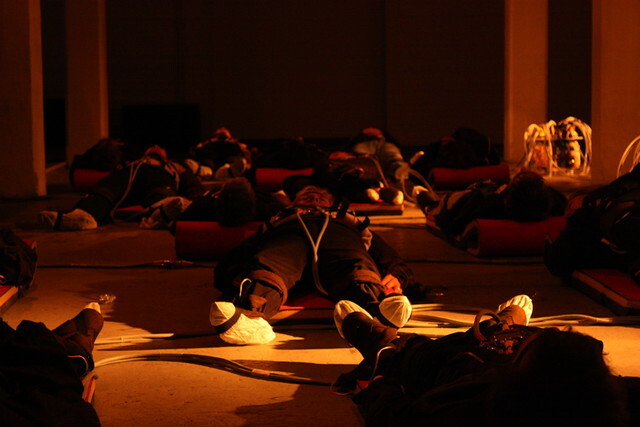 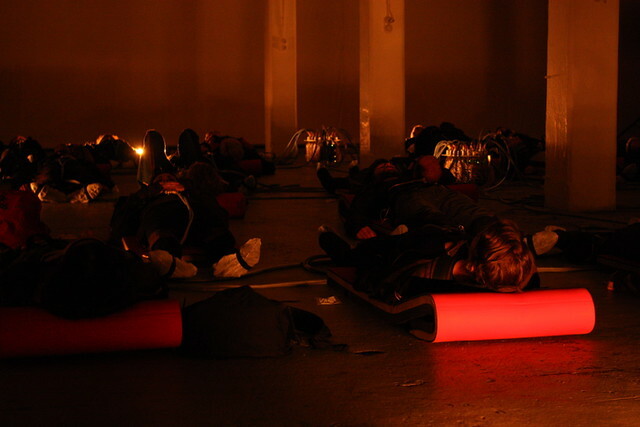 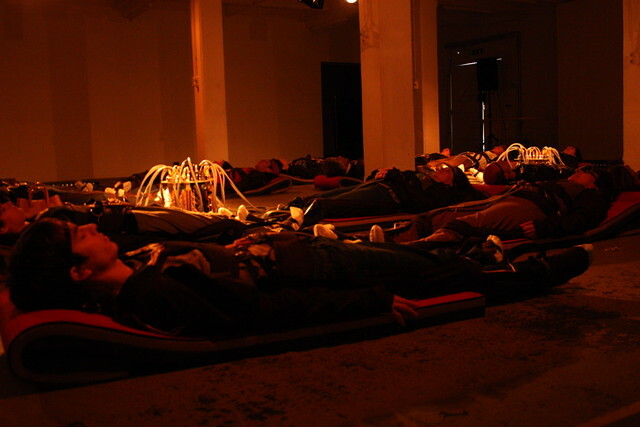 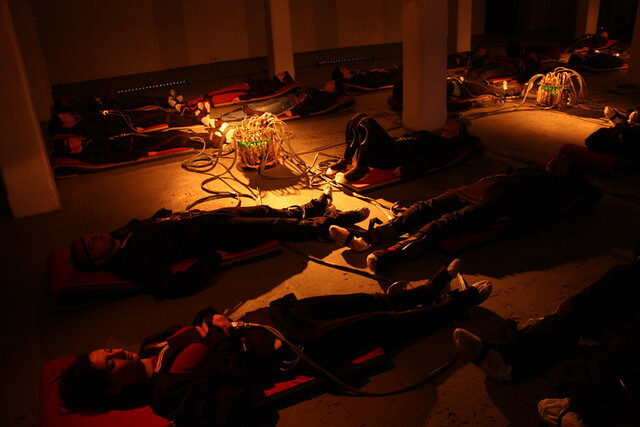 In this special and multiple experience, the 28 participants are placed in a circle and immersed in a sound and tactile environment enhanced by plays of light above their lying bodies. 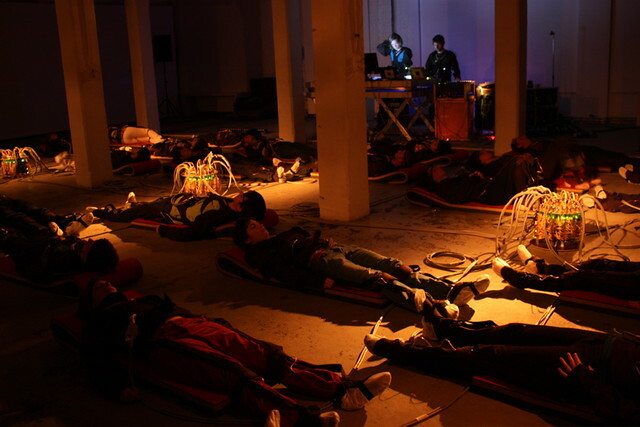 This collective immersive experience conveys us to a beautiful and peculiar audio-sensorial journey discovering a minimalist noise electronic music. 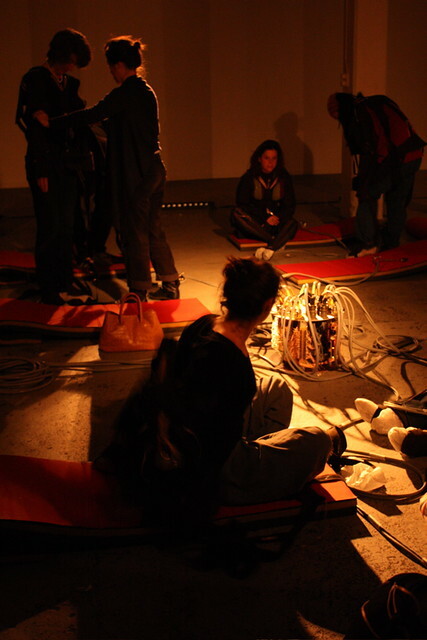 Since 2003, visual artist Lynn Pook, interested by sound art and its tactile dimension, develops the concept of audio tactile installations. 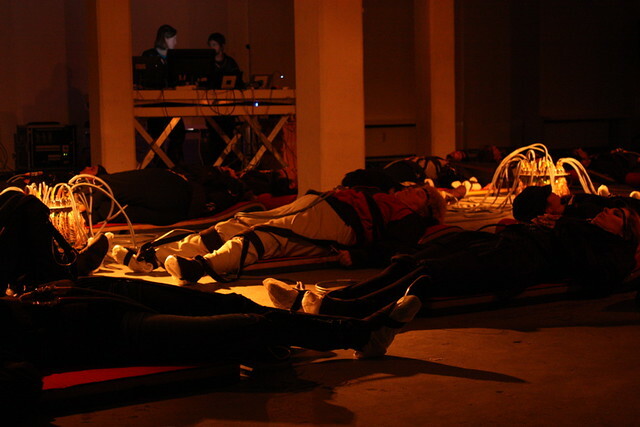 This led to A FLEUR DE PEAU where she used spectator's body as a presentation display. 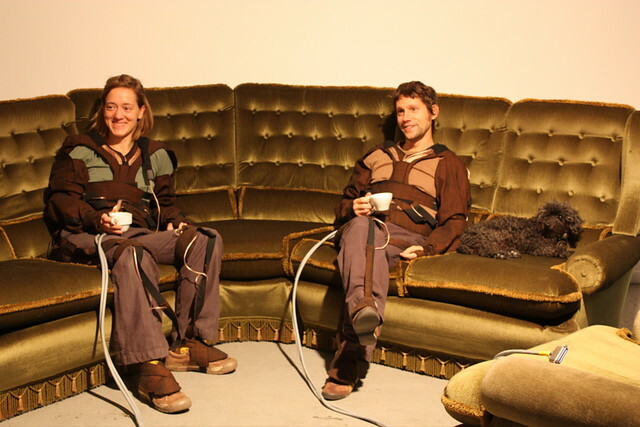 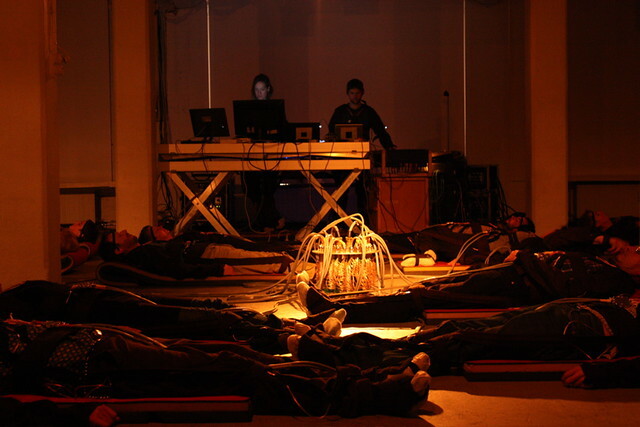 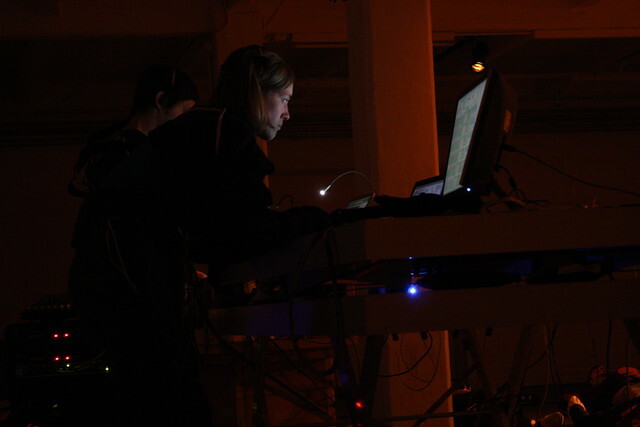 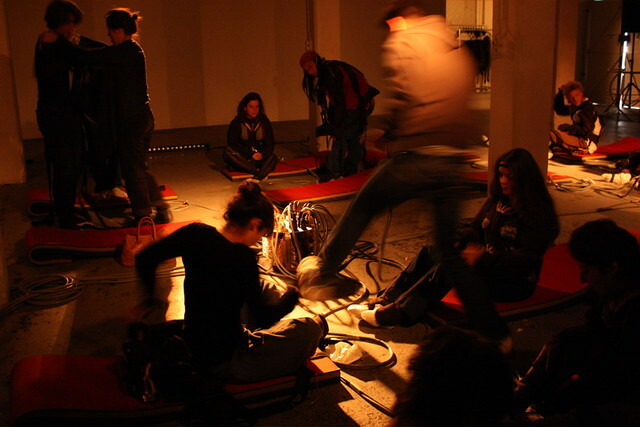 With sound artist Julien Clauss, they created PAUSE (2005) which networks 5 audio tactile devices. 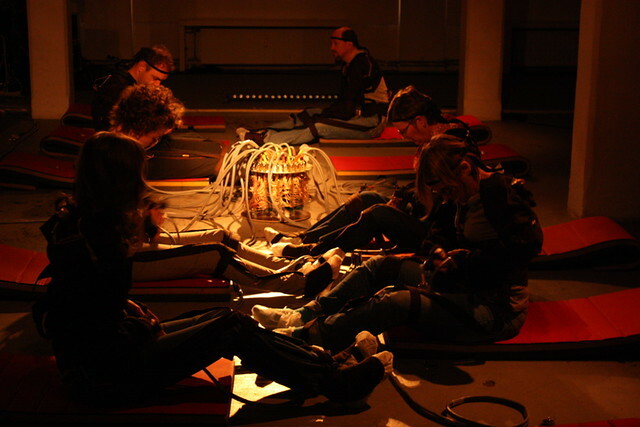 PAUSE questions interpersonal influences and the possibilities of creating virtual spaces from sound and sense of touch. 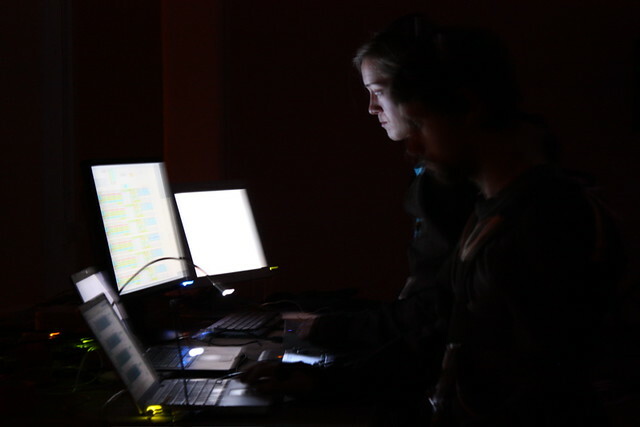 This will lead to the following installation STIMULINE, already presented o.a. 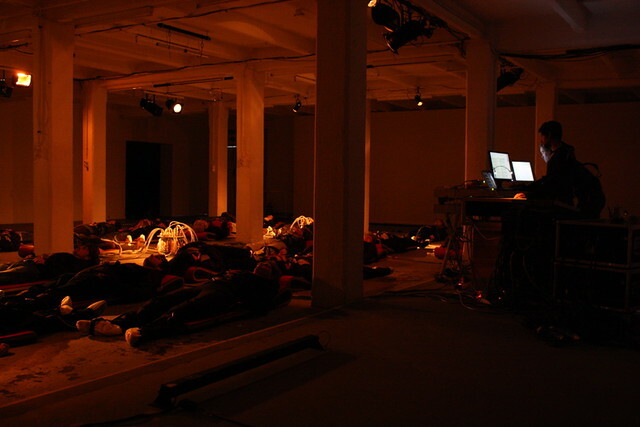 at the Festival Scopitone, Nantes (2008), during Transmediale, Berlin (2009) and at Maison des Métallos, Paris (2009).